simple to make, but beautiful and delicious enough for your holiday table. We can all use more cake in our lives, don't you agree? I know I don't make it nearly enough. 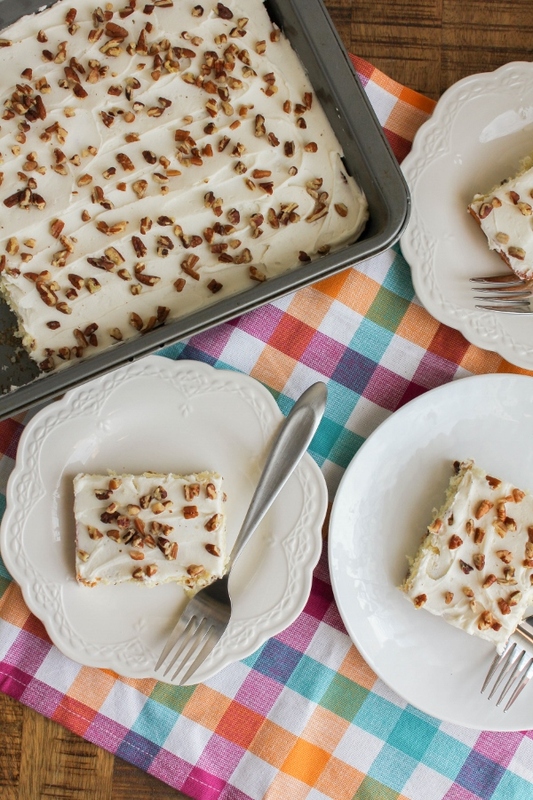 I feel like cake is more for celebrations than an everyday dessert, and it's definitely perfect for the holidays. So many of us are baking now and preparing for the holidays, and I think this cake should be on your list. It's soft and tender and topped with a decadent and delicious coconut rum frosting. It's simply amazing! I love the simplicity of this cake. It reminds me of an old fashioned cake that my grandma would have made for me. 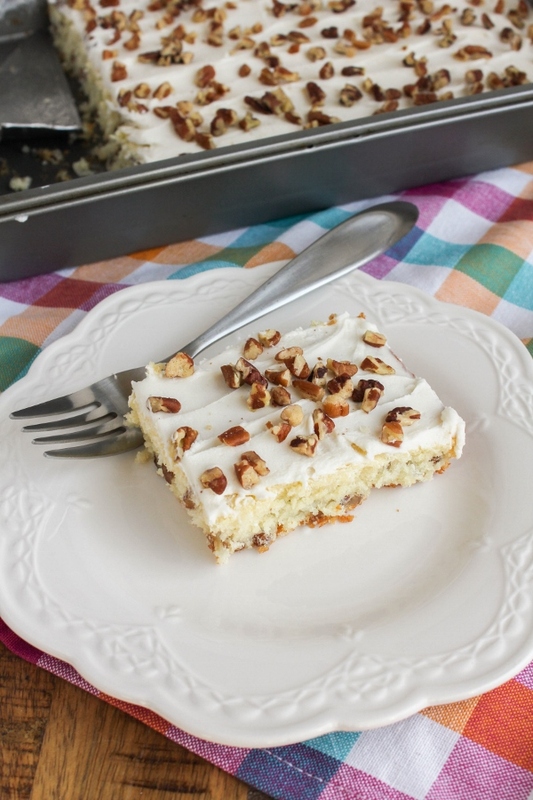 It's filled with pecans and coconut and has so much flavor. The frosting has just a pinch of coconut rum which puts it over the top. 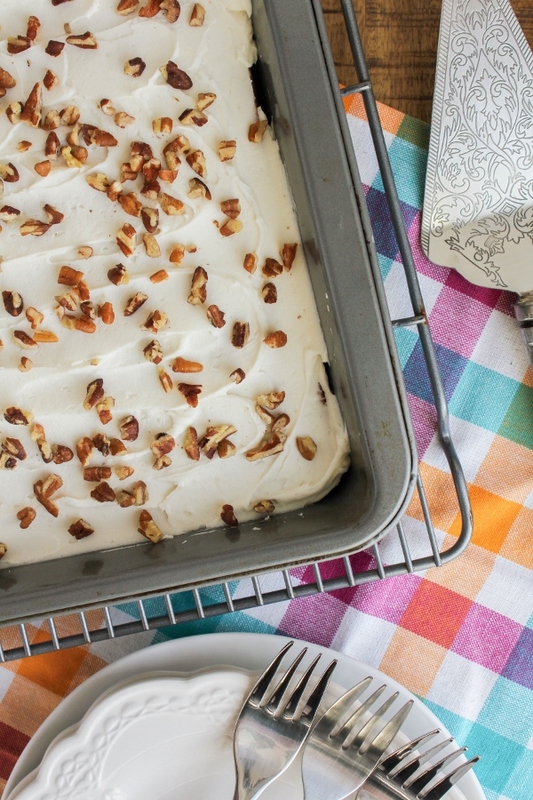 If you're looking for a new holiday dessert recipe, I suggest making this Coconut Pecan Cake with Coconut Rum Frosting. Your family and friends will be so impressed! Preheat the oven to 350 degrees. 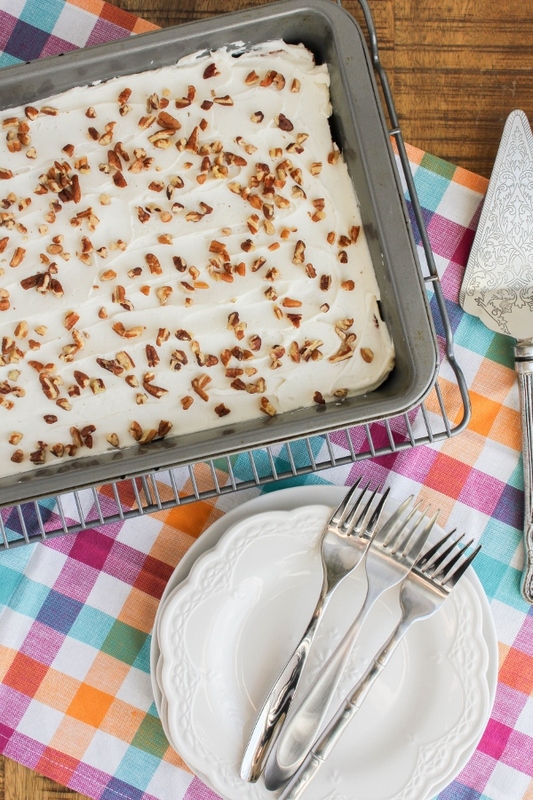 Coat a 13 x 9-inch cake pan with non-stick baking spray and set aside. Add the flour, baking powder, baking soda, and salt to a bowl and whisk to combine. In the bowl of a stand mixer, beat the butter and sugar until light and fluffy. Add the eggs, one at a time, beating well after each addition. Add the vanilla. Slowing add the dry ingredients, mixing until just incorporated. Add the buttermilk until combined. Fold in the pecans and coconut. Transfer the batter to the prepared pan. Bake until the top of the cake is lightly brown and a cake tester inserted into the center comes out clean, 25 to 30 minutes. Set on a cooling rack to cool completely before frosting. Make the frosting. In the bowl of a stand mixer, beat the butter, powdered sugar and milk until smooth. Beat in the rum and vanilla. Spread the frosting on the cooled cake. Sprinkle with the chopped pecans.